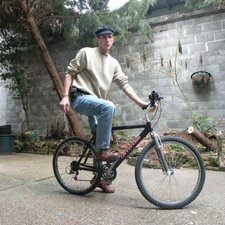 Adventure Tour in New Orleans, Louisiana: Walk, Bike, Explore With a Local! Walk, Bike, Explore With a Local! I've lived in New Orleans since Katrina and I've been an extra in HBO's 'Treme' several times. I give walking and biking tours of the Treme neighborhood, and I can show you around the French Quarter, especially the Cafe Du Monde! Receive special offers, VIP invites and exclusive updates for New Orleans.